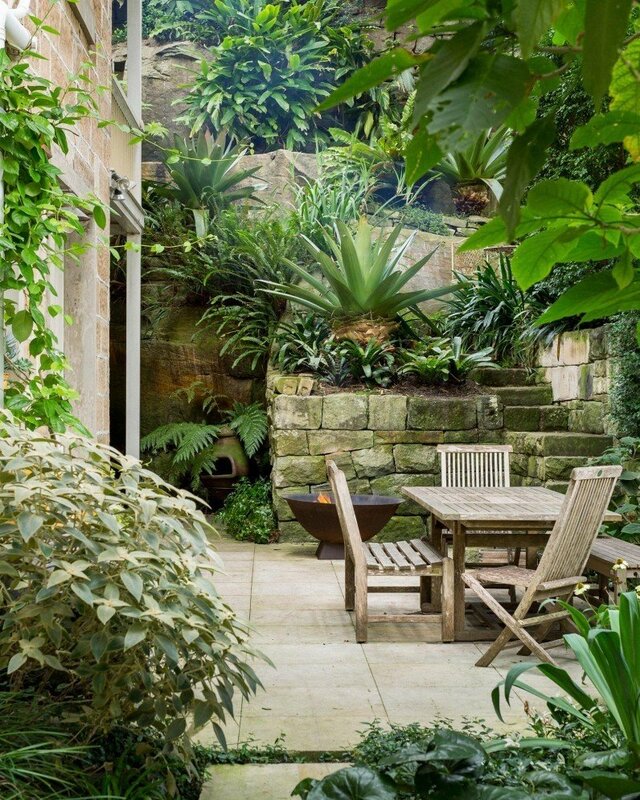 As the founder of one of Sydney’s leading landscape companies, Michael Bates updated the garden of his 100-year-old sandstone home in North Sydney. He augmented the existing plantings and made the spaces more functional and ready for entertaining. He chose a focused selection of plants with broad leaves.